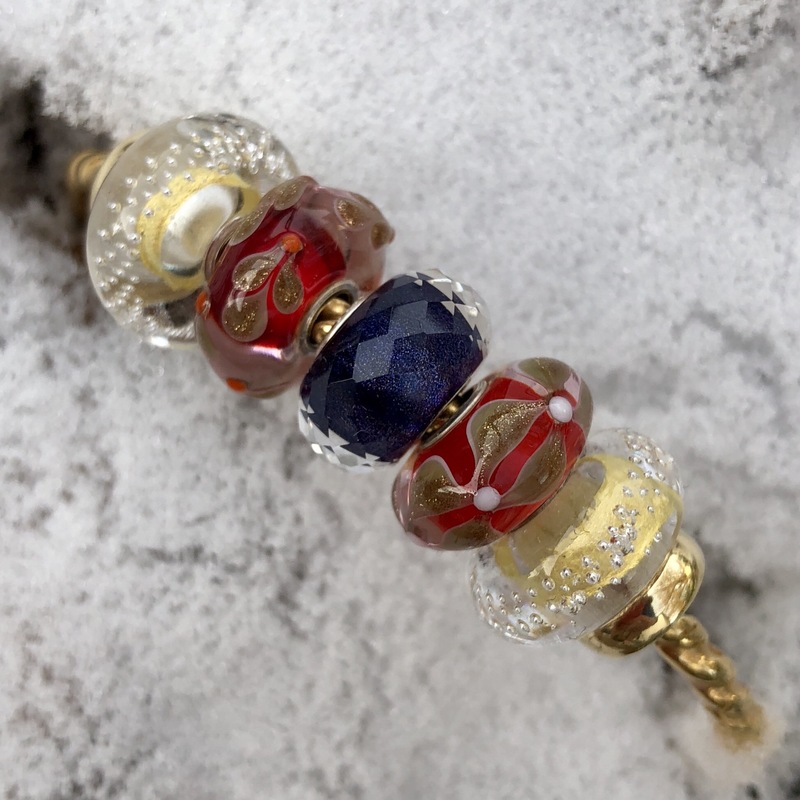 Available November 24, the Trollbeads Shimmer Royal is a limited edition faceted glass bead that will cost $56 USD/ $74 CAD. I think it’s absolutely stunning-such a rich colour and it does make me think of velvet that a queen would wear on a robe. 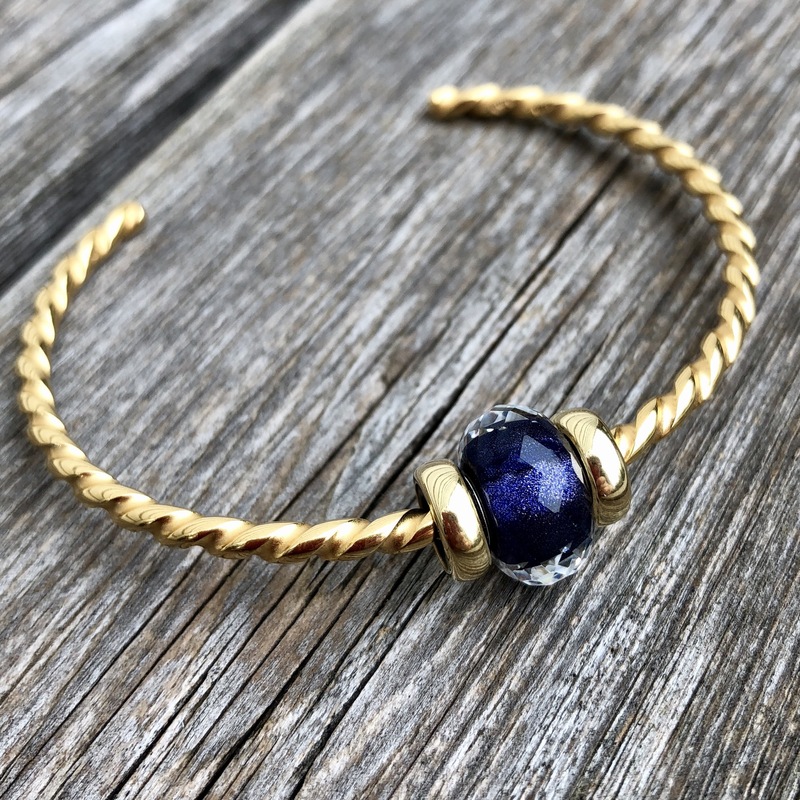 Straight away let’s start with a photo of it with the blue bead from the Wishful Sky Bracelet. I put a Saffron Facet bead in between them, with a couple of Sunbeam Spacers. There is no editing whatsoever to this photo, so these are the absolute true colours in natural light. Having said that, I believe the stock images of the bead do show some variation in the colour although we won’t really know until more live images start to appear. If any retailers have them, feel free to let us know if they vary! 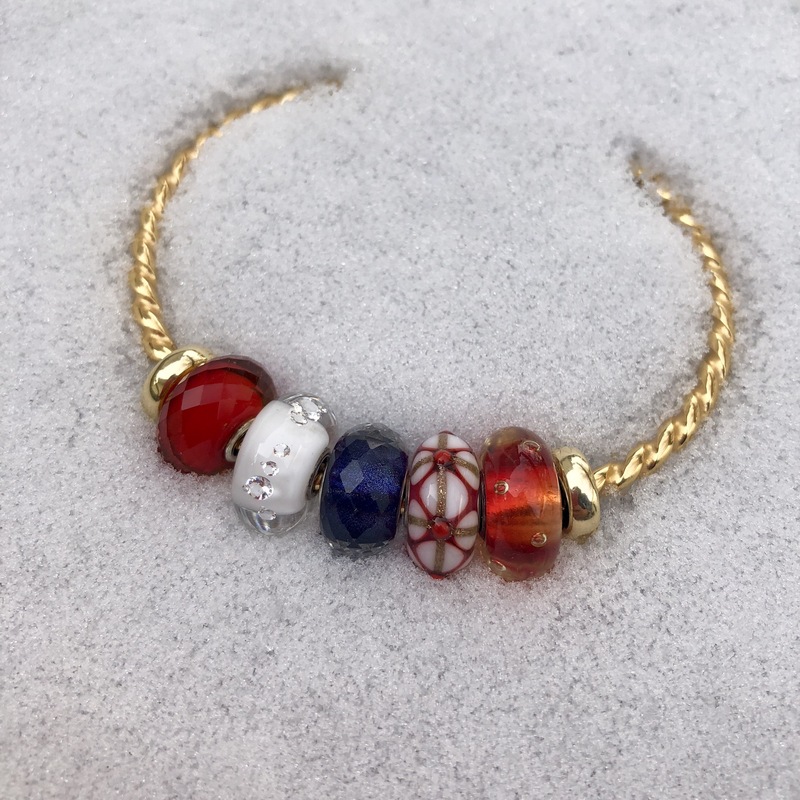 Keeping with the red, this bangle has the Saffron Facet, the Diamond Bead/White, the bead from the Feel Good Bracelet and a Unique. I do really like it with these beads from the Mysterious Ways Kit. Left to right are Rainbow Bridge, Violet Stripe, Shimmer Royal, Wise Bamboo and Graceful Sky. I think this is my favourite combo of all the ones I tried and someday I’ll expand on it adding in some silver beads. Two more photos are left and this one shows how perfect this bead is just on its own. Lastly, here’s a full bracelet using some beads I thought might look good together. 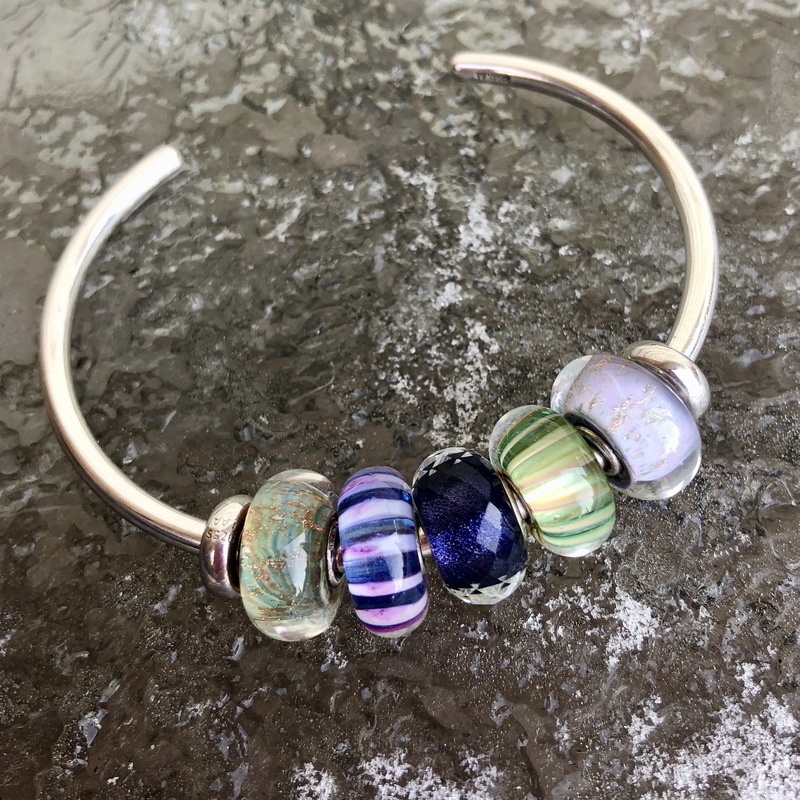 The Blue Fizz (bumpy bead on the right) goes really well with the Shimmer Royal, as it has a purple core with a blue glass overlay. I also really love the unique to the right of the Shimmer Royal and if I end up buying another one, then I’ll wear the unique in between them. So, that’s it for today. I hope this was helpful for deciding whether or not you want to get one when they come out for Black Friday. 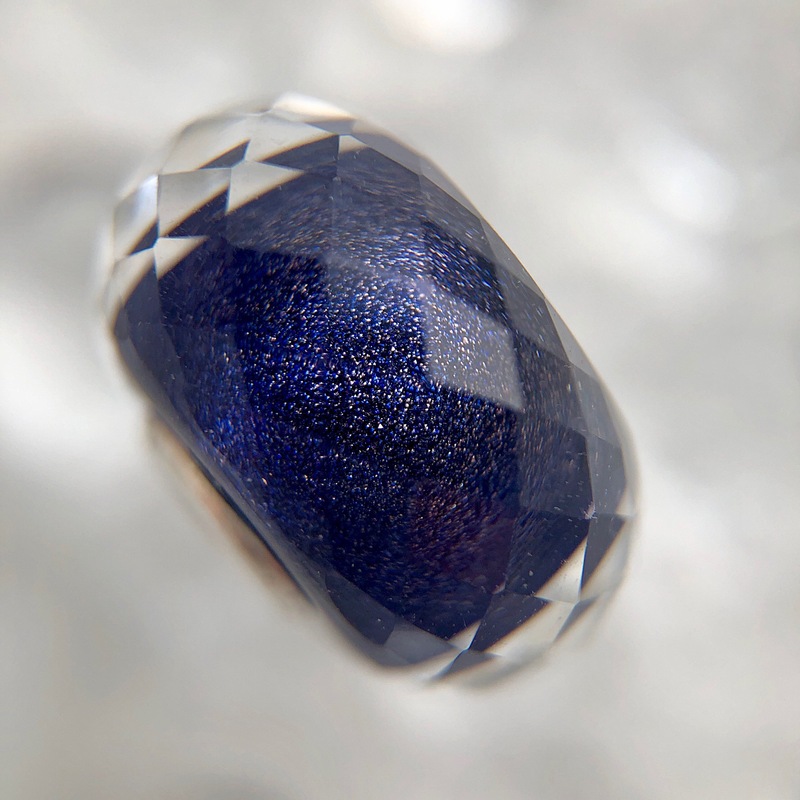 I particularly love Shimmer Royal with other jewel toned beads but even by itself it’s a real beauty. Do let me know how you like it best or how you think it will fit in with your collection! I think it looks marvelous on its own. My second favorite look is the bangle with the Mysterious Ways kit. I saw it live yesterday but I haven’t made up my mind yet. 🤔🤔🤔 We are planning on popping into the store on Black Friday so I still have time to think about it. I haven’t decided what I’m going for on Black Friday/Cyber Monday yet. I feel like last year I had a plan, but then I deviated from my plan when some of the last minute deals were announced. Maybe …. 😀 Although I think that I now have all of the retired X links that I wanted. But if they had a deal with that new chain I might be tempted. 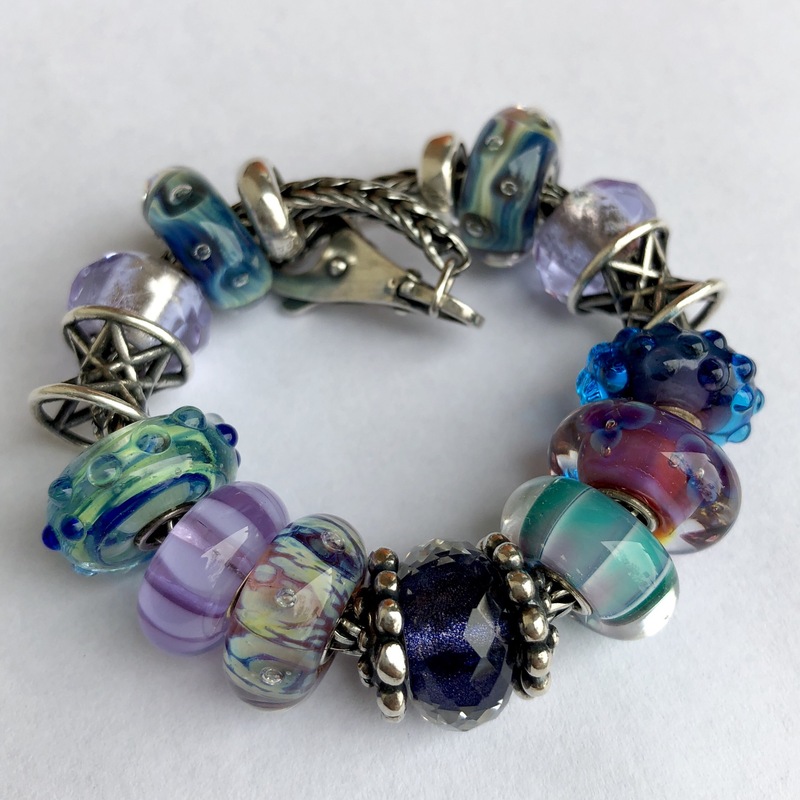 This is a must for me since Trollbeads is not allowing Perlen to fulfill my Wishful Sky bracelet pre-order and I may need 2! 😊 It looks like a deep navy blue in the photos, which I agree looks great with red. Thanks as always for your wonderful close up shots! My pleasure, Elise. I really enjoy being able to post live shots to help with purchasing decisions. I really like it with red also! 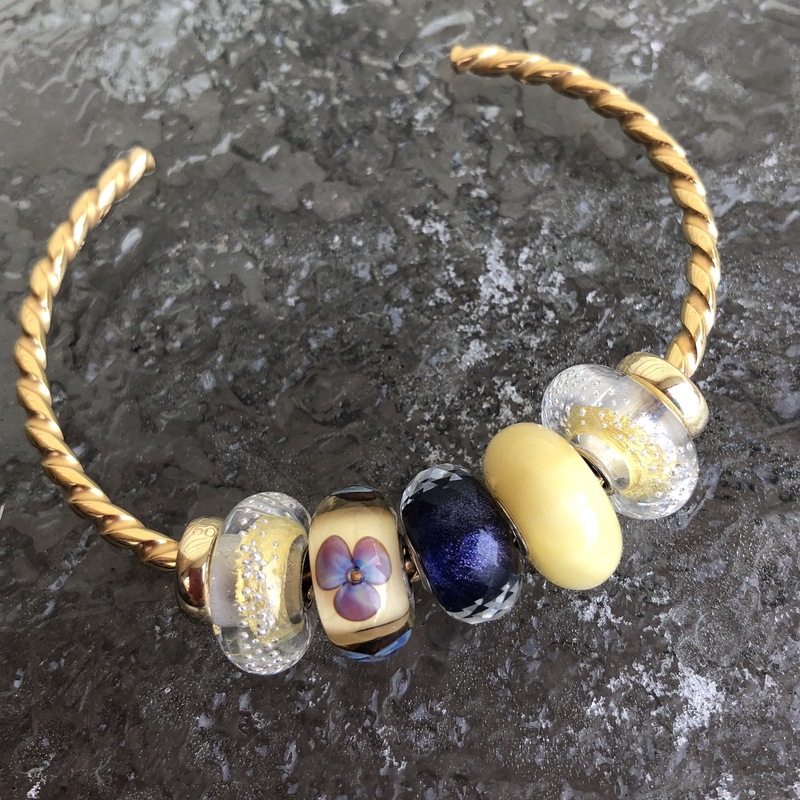 Hi Martha, I absolutely love this bead andI would probably wear it by itself. I still want to get the Wishful Sky bracelet. 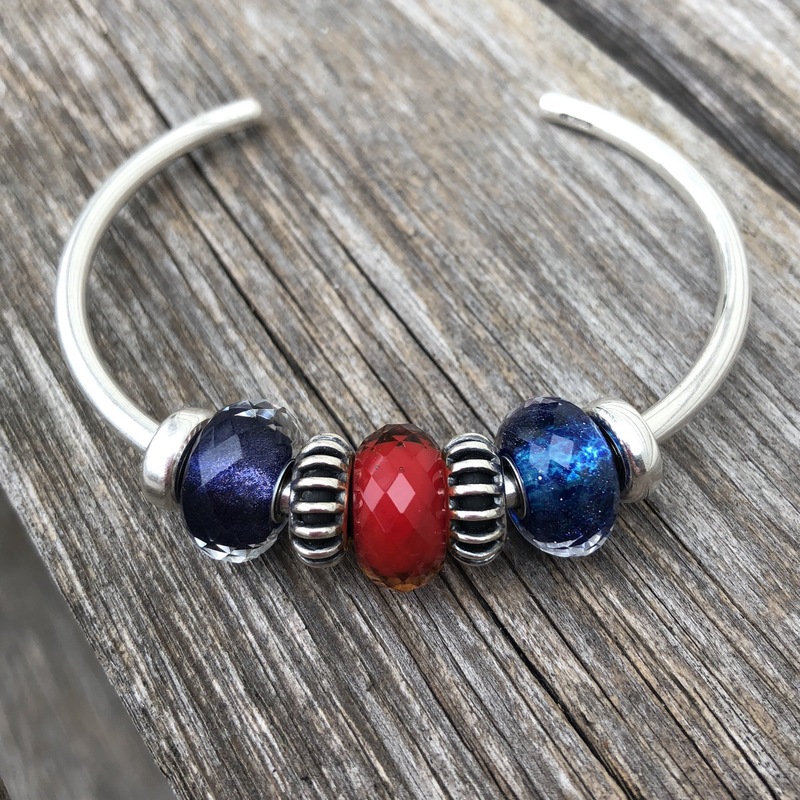 So it appears that Perlen isn’t carrying Trollbeads anymore? Too bad if they’re not, because there was something I wanted there that no one else seems to have. It’s the retired Sparrow. Perlen was the only place that seemed to have it but it appears that I waited too long! Now we need to find two of them!!?? LOL! I almost found it. Diamonds4Ever has a little bird in their retired section but it’s called Chicken, and while cute, looks like a different bead. Do you know that store? They are in Denmark and I’ve purchased from them before lots of times. I’ve heard of it, but I haven’t gotten anything from them yet. I’ve seen the Chicken, but I’m set on the Sparrow! Who knows maybe some will show up somewhere…no ebay for me though. The hunt continues……. there is a store in Frederick Maryland they don’t have an online presence but lots of trollneads old and new I don’t know if they would have the sparrow or not.